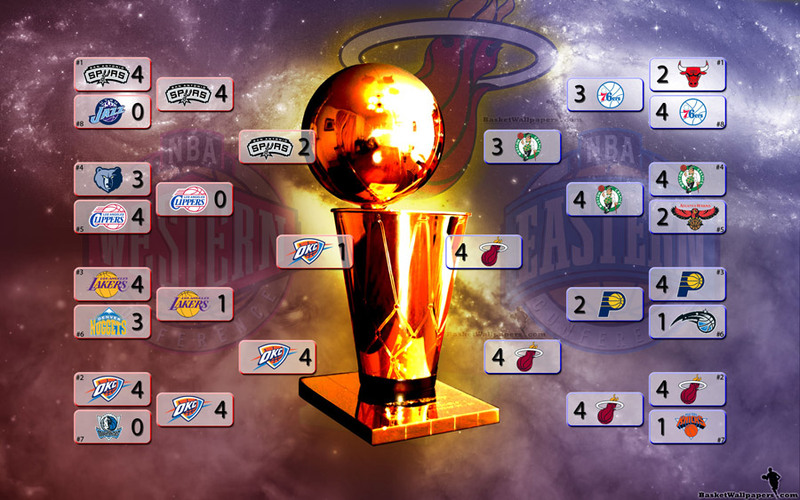 2012 NBA Playoffs are over and we have new champion – Miami Heat… Lots of great games and player performances, many beautiful moves and shots, emotions, pressure… All that is behind us and in the end one team won it all… First of all, i want to congratulate to Miami Heat team on title… Second, i want to congratulate to LeBron James individually for winning 2012 NBA Finals MVP award and for regaining his personal life back… I hope there will be less bullc*ap and hating all over the Internet now (not only to LeBron but to all NBA stars)… People tend to forget this is sport, that these stars are also people made of flesh and blood, people with feelings… Listening LeBron’s interview after game and everything he said made me cry… He is few years younger then me and as much as i consider myself mature and strong person i doubt i would be capable of going through all sh*t he went since he was a teenager… as he said: "It took me to go all to the top and hit rock bottom basically to realize what i needed to do." This entry was posted in Miami Heat Wallpapers, NBA Wallpapers and tagged 1920x1200. Bookmark the permalink.